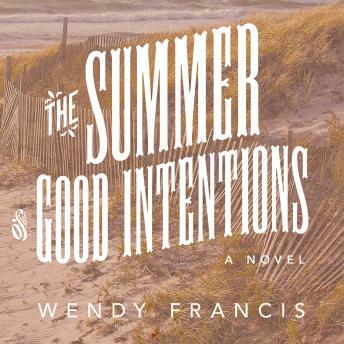 Cape Cod summers are supposed to remain reassuringly the same, but everything falls apart when three sisters and their families come together for their annual summer vacation, and they are carrying more secrets than suitcases. Maggie is the oldest sister. She's hurt that her parents' recent divorce has destroyed the family's comfortable summer routines, and her own kids seem to be growing up at high speed. Is it too late to have another baby? Jess is the middle sister. She loves her job but isn't as passionate about her marriage. She's not sure that she can find the courage to tell Maggie what she's done, much less talk to her husband about it. Virgie is the youngest, her dad's favorite. She's always been the career girl, but now there's a man in her life. Her television job on the West Coast is beyond stressful, and it's taking its toll on her, emotionally and physically. She's counting on this vacation to erase the symptoms she's not talking about.